Whether you want to design your own kitchen or work with a designer, we can help you create something special for your space or build the special something your designer laid out. This kitchen was professionally designed, and Cabinets by Wildermuth worked within some set and some flexible design guidelines to add details and ensure the end result was exactly what the customer wanted. 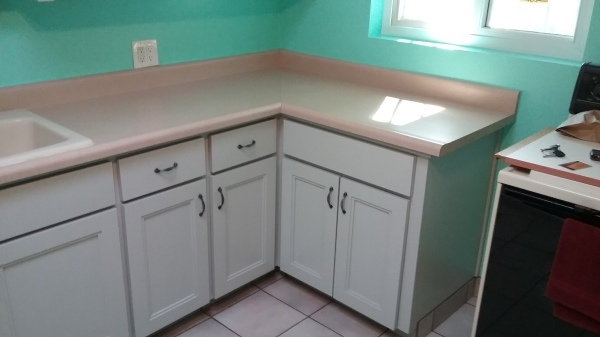 The granite countertops and tile backsplash were completed by separate contractors. These oak dressers and shelving units were designed based on images the customer provided, and built to their desired size specifications. See something you like in Google images? Let us give you a quote for what it would take to build it! Kitchen refaces are an economical way to improve the look of your kitchen a lot, in a short amount of time. 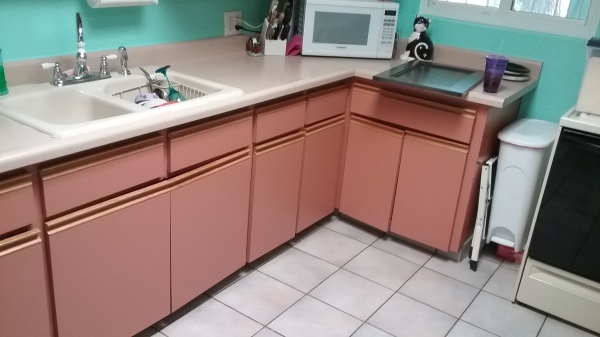 This kitchen was refaced in a white paint style that is quite popular, but if you love natural wood as much as we do you'll be delighted to know that you can get a reface of any wood species you want. We also have a variety of stain options we can create in-house, just for you. Interested in updating your coutertops while you're at it? We can work with Formica laminates to give you a completely new look in your kitchen, or build solid wood, butcher-block style countertops from your choice of hard woods! We won't lie, this project was a nail-biter. The wood shown on the drawer fronts is a very rare species provided by the customer, and there was only enough of it to get the job done. Measure ten times, cut once - that was the motto for this job! 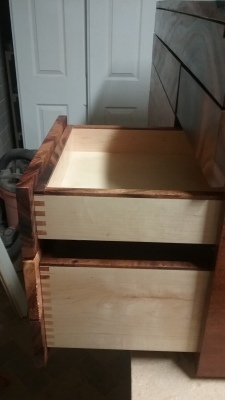 The details on this piece included metal joinery and finger joints in the drawers, and trimming with the live edge of the material. The top of this trunk was made of glass and it is being used as an art trunk in an art gallery. We might be biased, but we think that's a fitting locale for this baby. 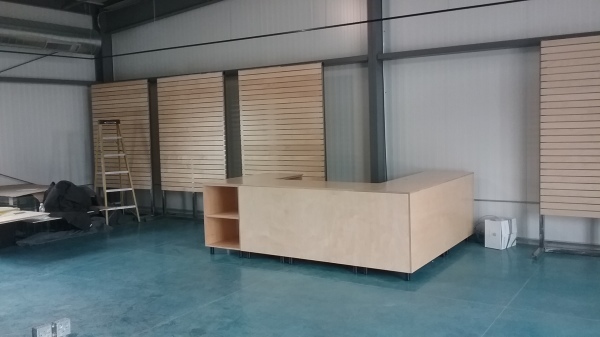 Whether you want to showcase your wares or present an updated face to your customers, we can work with your space to provide something spectactular and functional. Check out the Pictures page for more images of our past projects, like this bookshelf-door hiding a "secret" elevator.... and of course, a lot more kitchens!